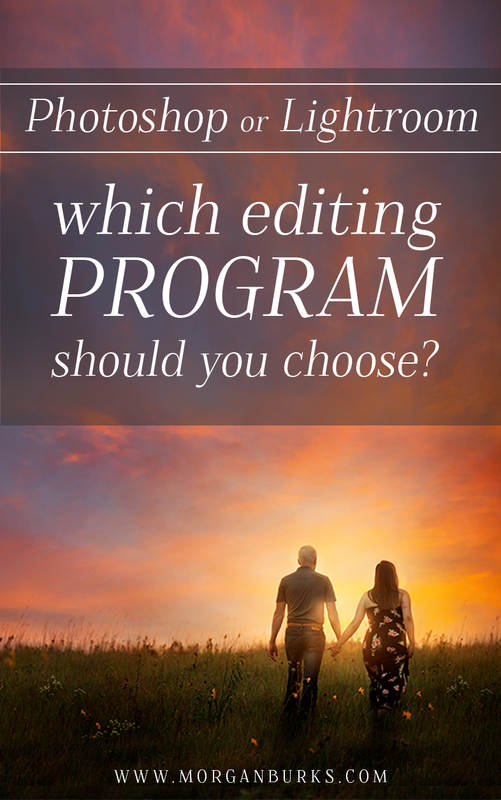 Which editing program should you choose? 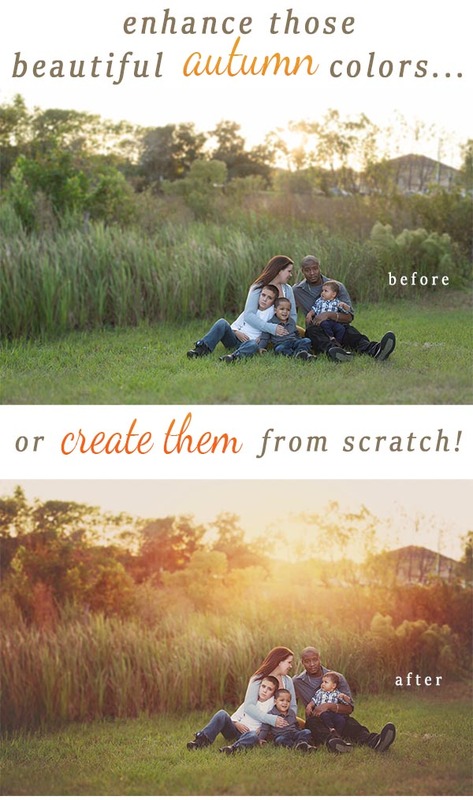 Photoshop or Lightroom? That is the question. And considering it’s actually one of the top questions I get asked, I can’t believe it’s taken me so long to turn it into a blog post! Forgive me, friends. 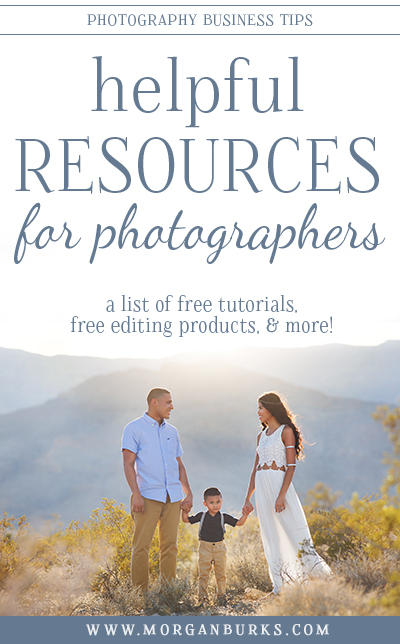 If you’re brand new to the editing world, Photoshop and Lightroom are the two most popular editing programs used by photographers. I know that choosing between them can feel a little intimidating when you don’t know anything about either of them, so hopefully I can help break it down a little and give you a good starting place to begin to decide. 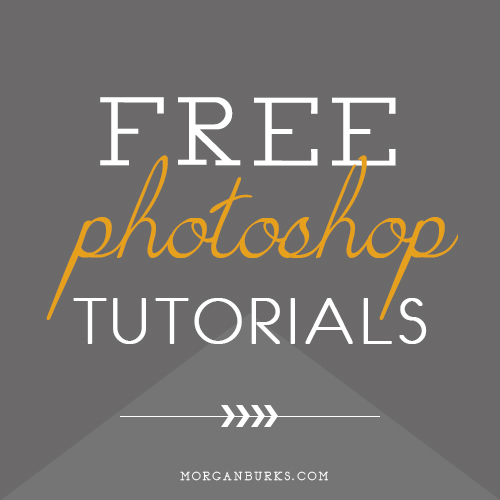 Now, if you’ve browsed around on my blog at all, you may have noticed that I teach a Photoshop course and that the majority of my posts and tutorials are Photoshop-related. This isn’t a coincidence — it’s no secret that I am a Photoshop girl through and through. 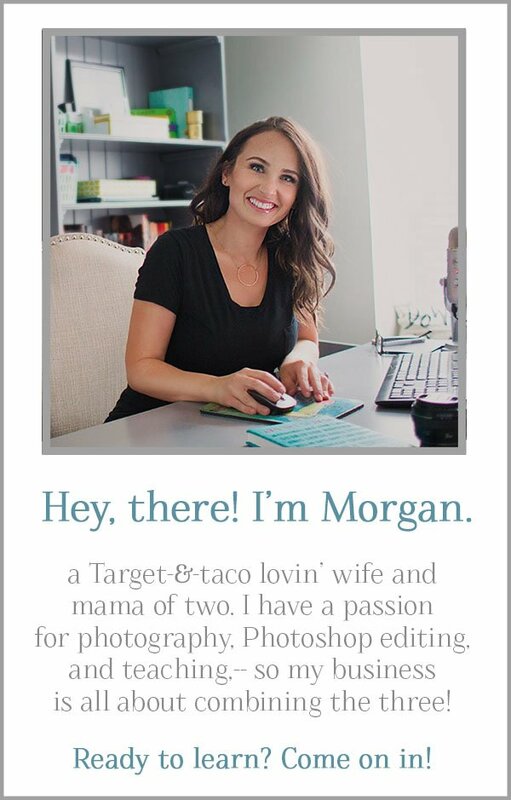 But just because Photoshop is my favorite, doesn’t mean it has to be yours. 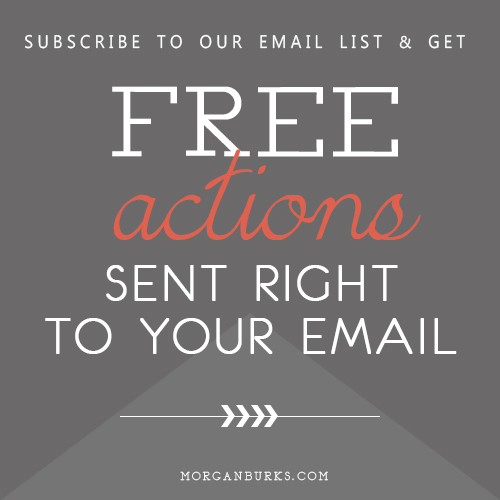 Choosing an editing program is a completely personal choice and depends entirely on what you want out of the editing process. 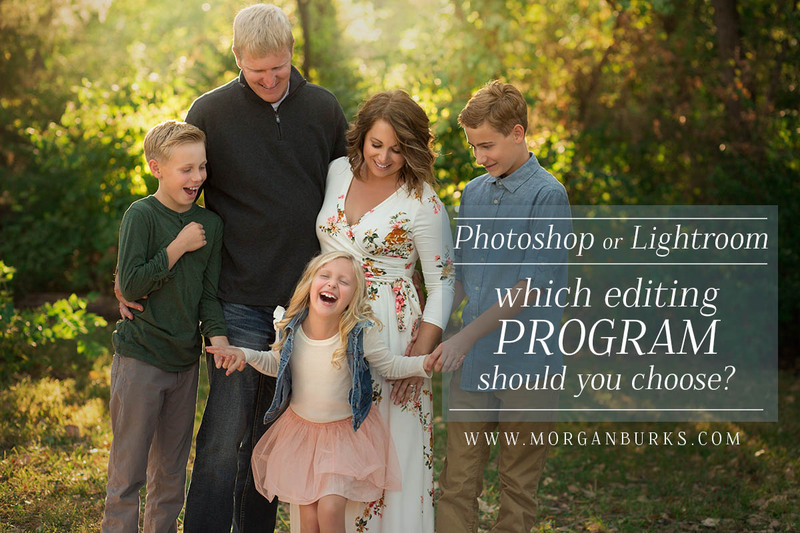 Today, I’ll share my thoughts on each of these editing programs in hopes it might help you decide which is right for you. 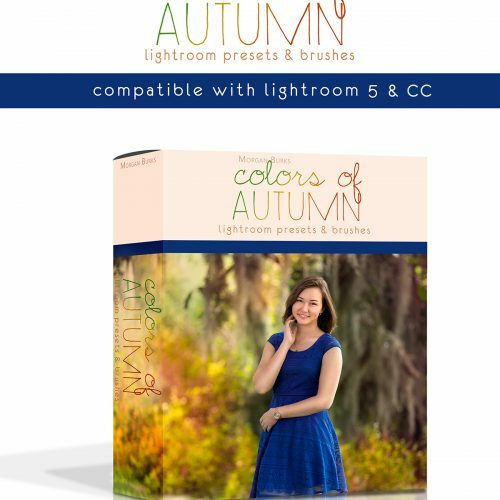 Lightroom is a powerful editing program that has an image organizing catalog built right in, and is great for photographers who want to edit their images quickly and efficiently, without much fuss. With Lightroom, you can remove distractions from your photos, brighten and add contrast, tweak color, add matte effects, create black and white effects and so much more. 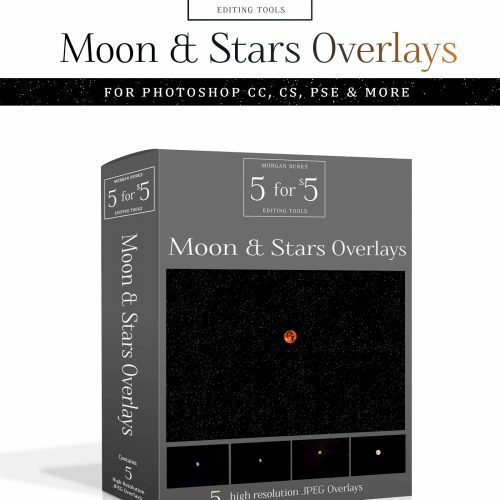 It’s also really easy to then apply the editing settings you chose to multiple photos. 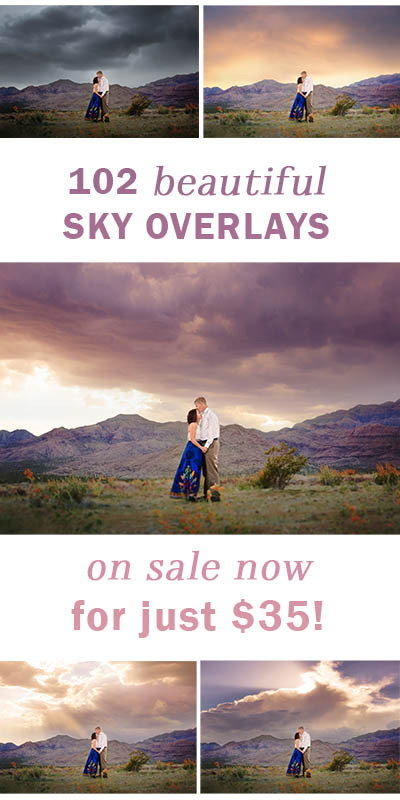 I enjoy using Lightroom when I’m working on wedding reception or event images, where there are a large number of images that don’t need a significant amount of in-depth editing done to them. Since it’s easy to duplicate my edits and apply them to multiple images, this means that I can edit the entire series of images fairly quickly and also ensures that the whole gallery is edited cohesively. 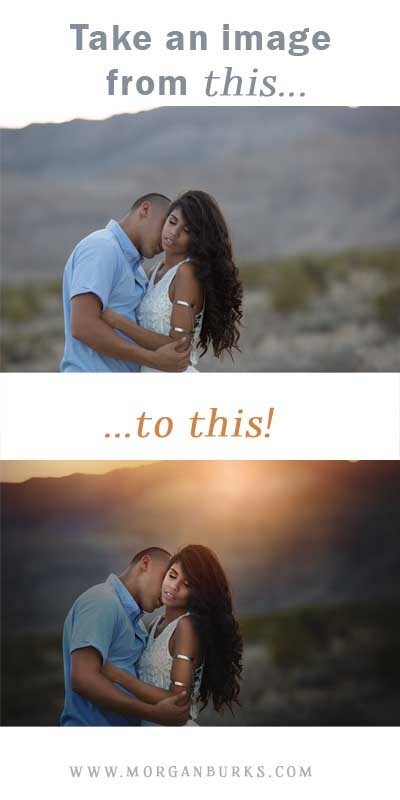 For me, the biggest drawback of Lightroom is that I sometimes feel limited in what I can accomplish in there. (Which is simply my own personal experience, and definitely not true for every user.) For instance, I like having the ability to remove a certain effect from specific parts of my image, such as painting an effect off of a subject’s skin if it looks too harsh. In Lightroom, you can use an adjustment brush to make selective adjustments to portions of your photo, but adjustment brushes only allow you to tweak a few specific settings and paint those tweaks onto your photo. 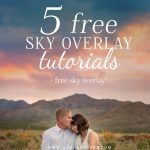 They don’t necessarily allow you to erase an intricate effect from certain areas of your photo entirely, like you can in Photoshop with layer masks. Overall, I’d say that Lightroom is a great choice for photographers or photo editors who value efficiency in their post processing. 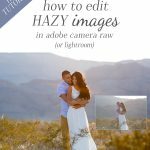 If you aren’t someone who needs to go above and beyond in your edits, and you simply want to get in, process your photos beautifully and then get out, Lightroom may be the choice for you! 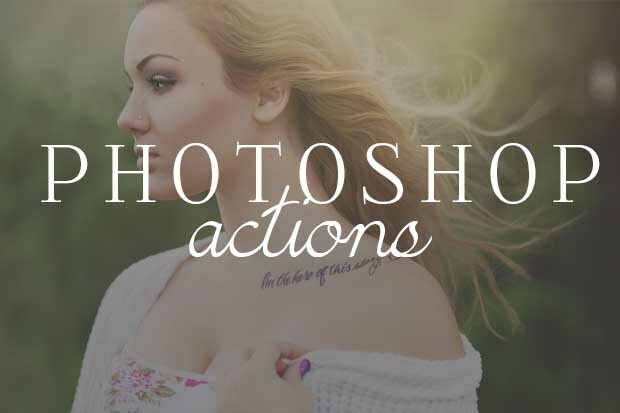 Photoshop is an extremely powerful, in-depth editing program, that is great for photographers or photo editors who want the ability to get creative or artistic with their edits. 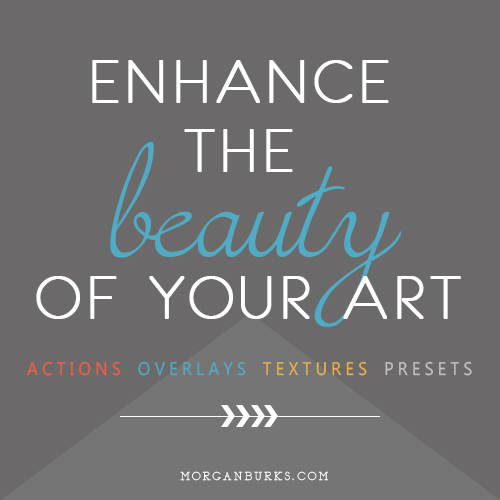 It’s also great for creating graphics, logos, and other branding materials. With Photoshop, the editing possibilities are vast. 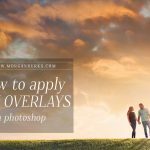 You can create basic edits such as color and light adjustments, remove distractions from your images, merge two photos together to create a composite or a head swap, add sky overlays or creative light effects and so much more. My favorite thing about Photoshop is the fact that it’s sort of an “if you can dream it, you can do it” kind of program. If there’s an idea out there you’re wanting to try, or an effect you’re wanting to replicate, more than likely you can do it with Photoshop. 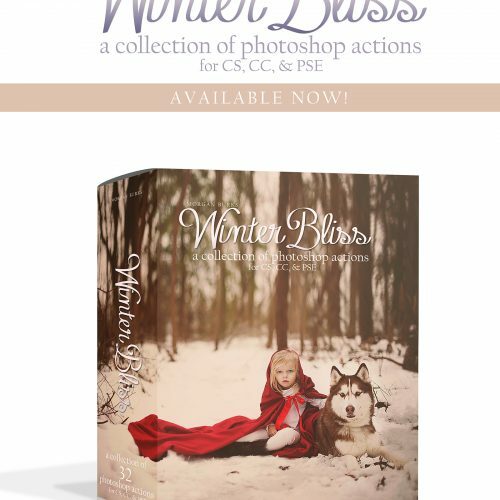 For me, the drawback of Photoshop is that with the sheer amount of possibilities the program offers, there is more of a time-consuming factor to consider. 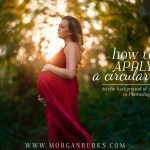 There are so many ways to transform your images in Photoshop, but with that comes a direct increase in the amount of time spent editing. Granted, you can save your editing steps into a Photoshop Action to duplicate the same steps more quickly on other photos, and there are batch editing features in the program as well. 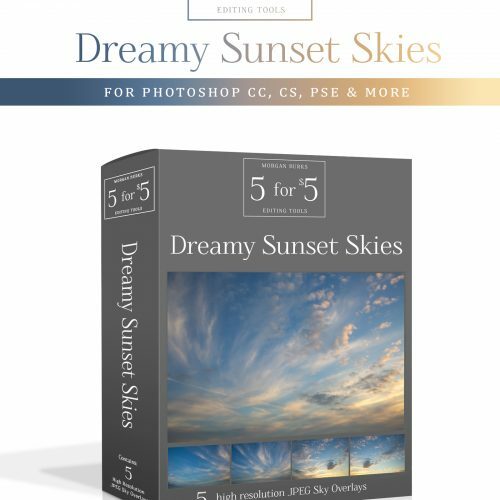 But overall, I think Photoshop is more suited for you if your main goal is to have a program that allows you to create whatever you dream up, even if it means your editing process may take a little longer. 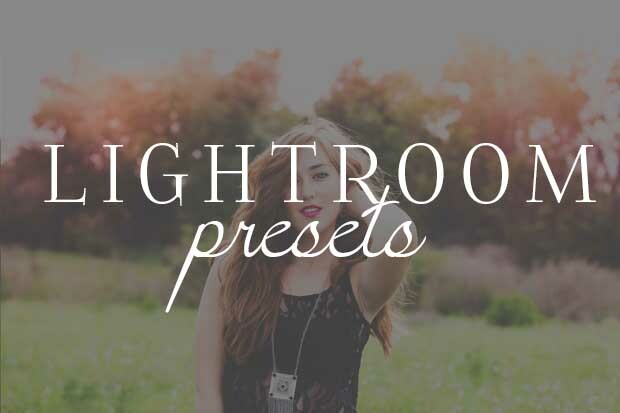 If your main goal with editing is to save time, Lightroom probably has the upper hand there. 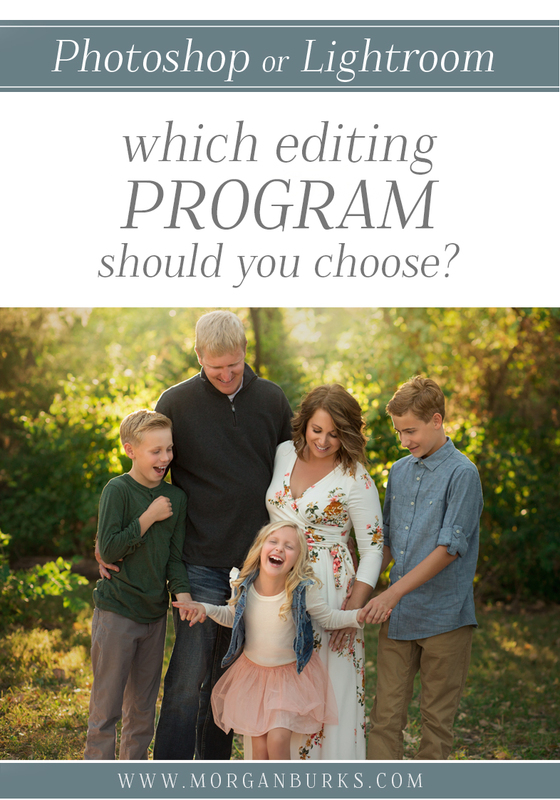 Both programs require a learning curve to get started, so I think that choosing the program that’s right for you ultimately comes down to what your editing goals are. 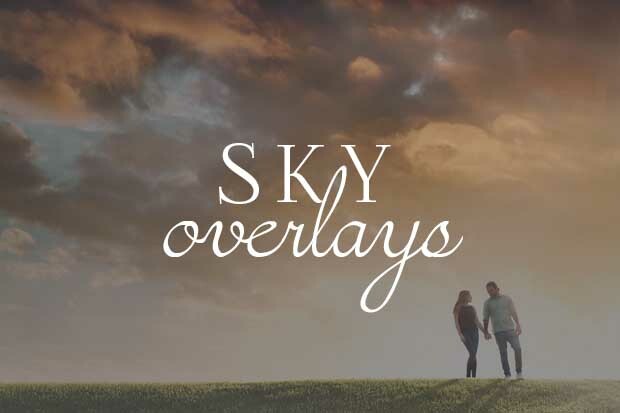 Do you envision artistic styles and want to spend time diving into all of the editing possibilities? Or would you prefer a simplistic approach, where the editing process is more about polishing your photos with the finishing touches and getting them out into the world? The choice is entirely yours! And since Adobe now offers a Photography Plan that comes with both Photoshop and Lightroom, it honestly doesn’t have to be a choice at all. I’ve had the Photography Plan subscription myself for the last few years and I love it. Not just because the $10/month price makes it easy to afford, but also because it gives me the ability to move between both programs depending on the specific needs of the project I’m working on. It also ensures I always have access to the newest and most up-to-date versions of both programs. For me, a joint plan just makes sense. It makes the editing program decision feel less like a leap of faith; you get to try out both programs and see for certain which one works best for you. So then, the question really just becomes: which do you try first? 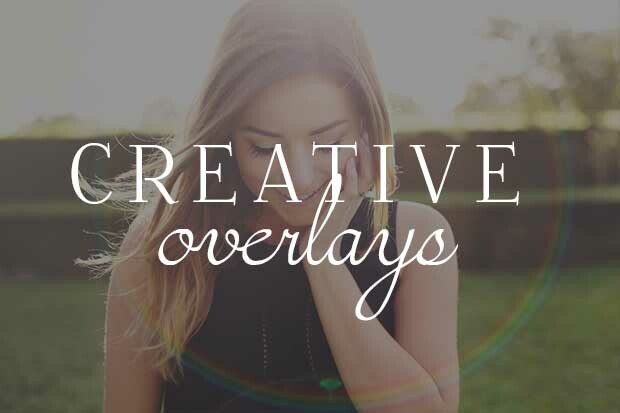 If you decide Photoshop is right for you, and are looking for a structured way to learn the program, I’d love to invite you to join me for my online Photoshop course, The Photoshop Fanatic. 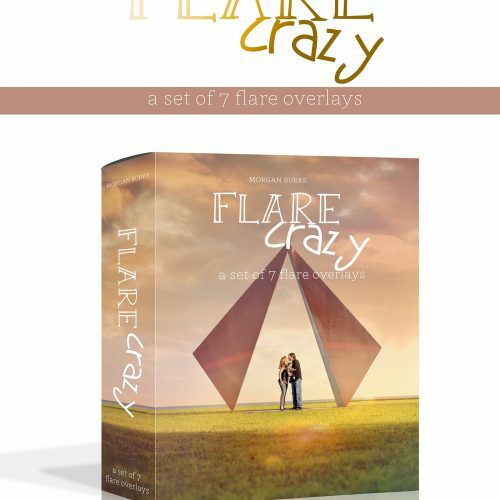 The Photoshop Fanatic is an easy-to-follow, go-at-your-own-pace course that starts from the very beginning of Photoshop– with a walk-through introduction and explanation of the various tools, layers, and filters in the program, showing you exactly how to use them, and then building on that knowledge to show you how to achieve full, in-depth edits with ease.